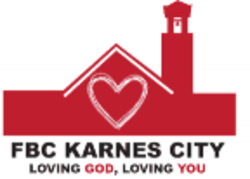 Sermons from FBC Karnes City. A Church looking to see broken people made whole in Jesus! View All by Date (Earliest to Latest)View All by Date (Latest to Earliest)View All by Popularity (Most to Least)View Audio EntriesView Video EntriesView Subject/Series "A Christian Politic"View Subject/Series "Biblical Worldview"View Subject/Series "Disciplines Of A Disciple"View Subject/Series "Ecclesiastes"View Subject/Series "Father's Day"View Subject/Series "Freed To Follow"View Subject/Series "Fruit Of The Spirit"View Subject/Series "Guest Speaker"View Subject/Series "I Am Known"View Subject/Series "Identity Crisis"View Subject/Series "Marks Of A Covenental Community"View Subject/Series "Marriage"View Subject/Series "Mother's Day"View Subject/Series "Perception... Healing"View Subject/Series "Philippians"View Subject/Series "Prayer"View Subject/Series "Revealing History"View Subject/Series "The Fruit Of The Spirit"View Subject/Series "The Real God"View Subject/Series "What About..."View by Speaker "Brenda Crim"View by Speaker "Dave Collins"View by Speaker "Easter Doubt"View by Speaker "Ed Griffin"View by Speaker "FBC Choir"View by Speaker "Jan Viljoen"View by Speaker "JK Minton"View by Speaker "Kevin Cornelius"View by Speaker "Kevin Cornelius and Jan Viljoen"View by Speaker "Pat Dziuk"View by Speaker "Robby Partain"View by Speaker "Rylan Kennedy"View by Speaker "Steven Gaither"View by Speaker "Travis Scott"View by Speaker "Various Speakers"View by Speaker "Will Johnson"